Sorry this took me so long to post, but the search for a new airbrush slowed me down a little. 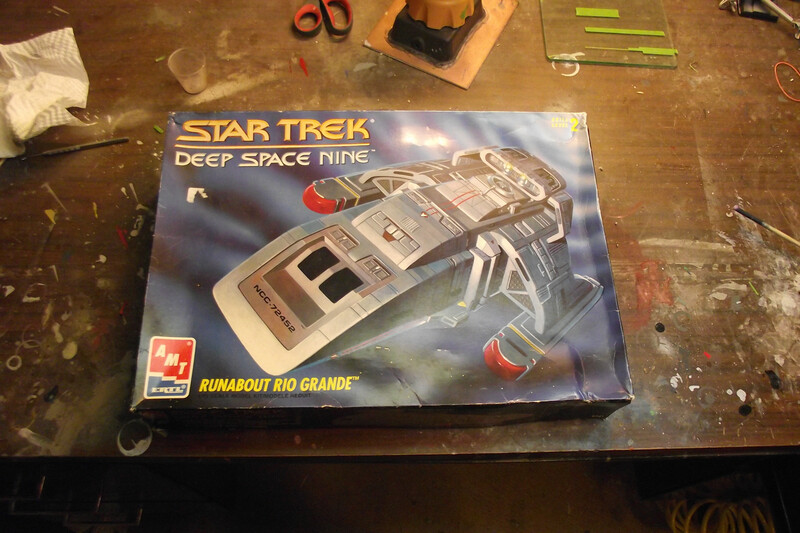 Anyway, my build will be pretty boring compared to most, I am working on a run-of-the-mill Runabout. I have owned this model since it was released back in '93, and I figured it was time to wipe off the dust. The only real customization I am doing is adding lighting. I am really going to focus on the paint job of this one. I would like it to be as screen accurate as possible in the time I have. 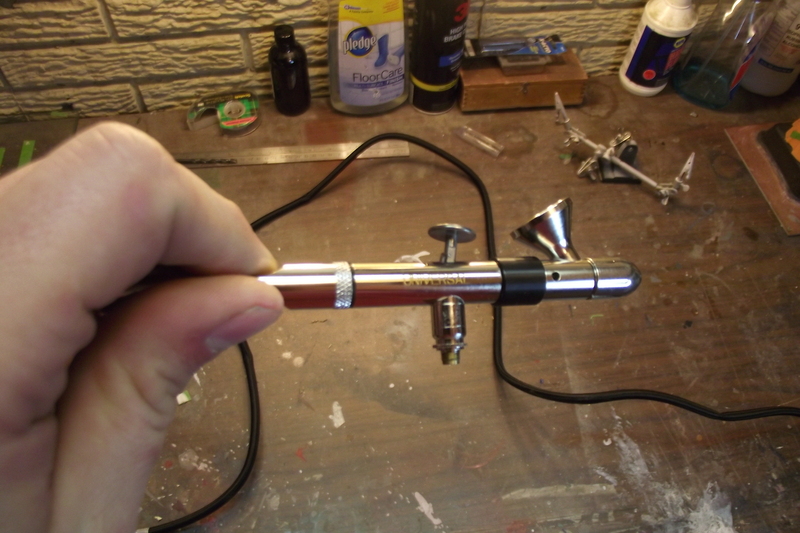 As mentioned above I did my research last week and purchessed a new Badger 360 airbrush. I have only played with it a little bit, but so far it seems like a huge improvement over my ancient Testors Aztec. Last edited by VarneyJLV on Sun Jun 28, 2015 5:46 pm, edited 1 time in total. Will you be adding an interior as well? Federation Models sells a great interior kit. The Eye of Error wrote: Will you be adding an interior as well? Federation Models sells a great interior kit. I think I will be skipping the interior on this build. While it does look like a great kit, it is a little pricy. I will stick with just backlighting lighting the windows. It promises to be an intriguing build. You know what you could do that would be neat. 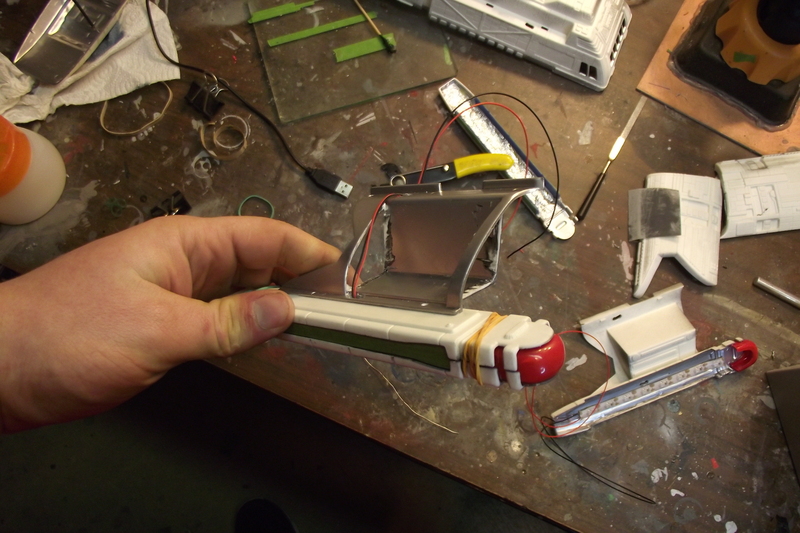 You could find a screen cap of the runabout cockpit from the exterior, like in One Little Ship and cut out the window area and place it behind the clear pieces in the AMT Kit. Or perhaps show a Bacchanalia scene. Moongrim wrote: Or perhaps show a Bacchanalia scene. I managed a couple hours on the model tonight. Didn't get near as much done as I would have liked. I mostly just fiddled with Soldering LEDs. Nothing ever seems to quite line up quite the way it does in my head. I guess that just part of the fun. Anyway, I had thought of placing pictures behind the windows before, but I find the 2d images kinda cheesey. I think I am just going to go with "frosted" windows and backlight them. I have considered adding little figures inside the ship to cast shadows on the windows. I doubt it will work, but it might be fun to try. VarneyJLV wrote: Nothing ever seems to quite line up quite the way it does in my head. I guess that just part of the fun. That's a good summary of what it means to be a modeler. VarneyJLV wrote: I think I am just going to go with "frosted" windows and backlight them. I have considered adding little figures inside the ship to cast shadows on the windows. I doubt it will work, but it might be fun to try.